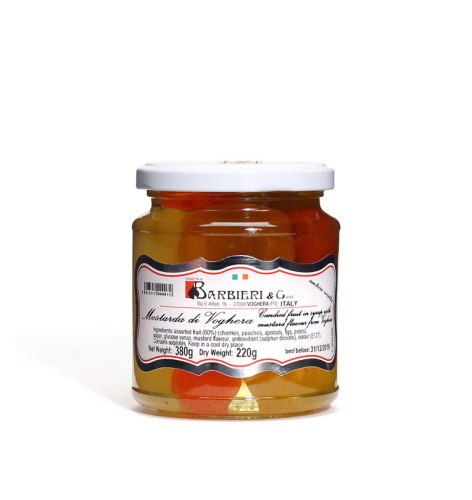 These whole candied fruits preserved in a mustard-flavoured syrup are traditionally served as a condiment to boiled meats. Theyâ€™re also great with ham and cold cuts. This product contains cherries, apricots, peaches, pears, plums, figs, tangerines, pineapple, melon and watermelon.